If you’re going to disrupt, you can’t use antiquated methods to motivate and manage your team. The biggest offender: the annual review process. More people leave a company after their annual review than at any other time. Noah L Pusey of the Ripple Crew discusses a better method that brings massive benefits to you and your team. If you manage a team, this is a must-listen episode. And learn why a free software trial is a counterproductive marketing idea. Chief Executive Officer at Ripple Analytics Inc.
Mark S A Smith: My guest today is Noah Pusey, who is the CEO at Ripple Analytics, which does … We’re going to get into that in just a moment. An attorney for more than a decade, Noah left the law practice due to illness. He got sick of it. Now he helps companies eliminate toxic environments and works with managers to help their team be their best with new performance analytic tools, which means Noah helps companies become intentional disruptors in their market. 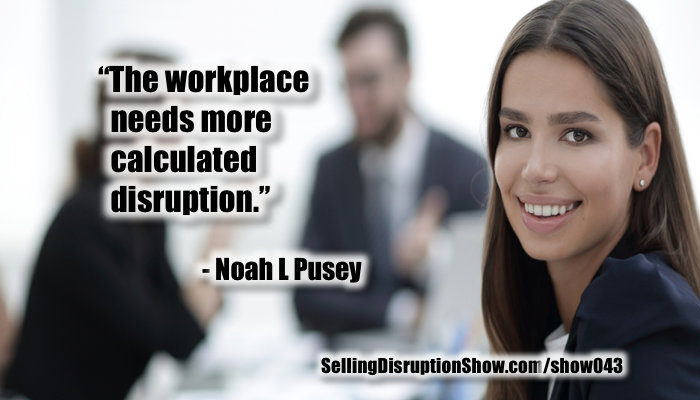 Welcome, Noah, to the Selling Disruption Show. Noah Pusey: Thanks, Mark. Great to be here. Thanks for having me on. Mark S A Smith: Yes, sir. You and I met through LinkedIn, which is where I’m finding so many cool people these days. I really appreciate the conversations that we’ve had so far, and the really cool people you’ve introduced me to as well, so thank you. You’ve earned a spot in my heart, and now a spot on the show. Tell me about what you’re doing with Ripple Analytics, and how it is disrupting the world of employee motivation. Noah Pusey: Essentially, what we set out to accomplish when we founded Ripple was to make people’s lives better, and we tried to identify issues in the workplace that took away from that goal, and our research quickly brought us to one core process that exists in most organizations, the dreaded, despised annual review. Mark S A Smith: Oh, yeah. Everybody right now is groaning and rolling their eyes. The annual review, which means we’re either screwed or not getting a raise, or we’re going to feel bad about what we’ve done. Have you ever noticed that annual reviews always have a negative outcome? Noah Pusey: Yeah. To understand why it’s no longer relevant, the annual review came to be after World War II, largely in reaction to the discipline that existed in the military back in World War I and II. Most families were impacted either by brothers, fathers, sons going away to war, or a friend or close family member. That translated to corporate America, and ever since, these organizations have thought that a one-time discussion in a 12-month period was somehow productive. It may or may not have been productive from its inception. It certainly is not productive now. What we did when we started to identify problems in the workplace is really hone in on this antiquated process. We tied our solution to the psychology of coworkers interacting with each other, and that’s what Ripple is all about. We’re disrupting the way that organizations have traditionally viewed and assessed their employees with a scientific approach that is rooted in technology. I’ve spoken with over 450 companies over the last few years. Only a small handful, 12, have told me that they’re perfectly fine with their annual review process. The market is huge, and the ability to disrupt is just as huge. Mark S A Smith: What do you recommend as the replacement for the dreaded, awful, “HR insists on it so we do it anyway, but what does HR know?” Annual review? Noah Pusey: The short answer is, multiple reviews through survey analytics. What we do is we push out surveys to coworkers, managers, executives that ask for feedback regarding how an individual employee is impacting the people that he or she comes into contact with. The annual review in theory, this opportunity to sort of discuss the 12 months prior, as long as you do it more often, it can be effective, but the human brain only remembers things accurately for about six to eight weeks, so even just the concept of annual review, right? The two words are anti-productivity. “Annual,” you don’t do anything on an annual basis. If you do something on an annual basis other than filing your tax returns, it’s probably not that productive, because if it was productive, you’d do it more often. Noah Pusey: “Review” is also a problem, because review is in the past. You’re reviewing what occurred over the last 12 months. In 2017, if you’re reviewing instead of pushing forward, reviewing the past instead of looking to the future, your business model isn’t going to work very well. Mark S A Smith: You’re going to be absolutely disrupted. No doubt about it. Noah Pusey: The interesting thing about disruption is, one of the things that I find very interesting about what you’re doing, is there’s really disruption on three levels, because there’s three primary generations at work in the workforce today. The baby boomers, the generation Xers, and the millennials. The baby boomers learned how they do things from people that are no longer working. Noah Pusey: The Generation Xers learned, in most part, from the baby boomers. Now the millennials are trying to learn from the generation Xers, and the millennials, there’s a bunch of buzzwords out there. “Feedback.” “Transparency in the workplace.” Feedback is not something … Generation Xers, like myself, they see feedback as, “I don’t know. If you can get it, great. If you don’t, then we’ll just continue with what we’ve been doing all along.” Millennials need feedback. They don’t want it. They’ve grown up on feedback. They have instant gratification. If you take that expectation of most millennials and apply it to this annual discussion, it’s a total disconnect. Contrary to what a lot of people think, millennials want to know how they’re doing. They don’t want to just get the pat on the back and have positive feedback. If they screwed something up, or if they did something that was below the standards expected of them in July, let’s say, they want to know about it in August. They want to know about it for two reasons. One, so they can maybe change the way they approach that same type of role in the future, and then two, just as important for millennials, they want an opportunity to tell you, or me, that what they did in July wasn’t wrong. They’d had a different approach to it, and maybe it wasn’t what a 46 year old ex-lawyer, how he would do it, but this is why the millennial did it this way in July, and they very well may hear from me, “Okay, I get it. That’s not the way we’re going to do it. I appreciate it.” But they want a platform, a forum, to at least explain why they did it a certain way, whereas when I was 25 years old and I did something wrong, I begged for apology. I definitely changed the way I ever did that in the future, and I didn’t really look at the dynamics of why I did it the way I did it. Mark S A Smith: Well, the reason why it’s really important to make that change, Noah, is because every generation brings new insights to the party. Every one of them brings a new way of looking at the problem and a new solution that’s better. I get locked into my solution strategies, and I end up usually having to hit the wall and explode before I’m willing to take on something new. Learning from my five millennial children, I don’t have to do that. All I have to do is get the feedback, make some adjustments, listen to some new strategies, and not just be so damn fixed in my own view of what’s the right way to play. I think what you’re offering here is really extraordinary, and if people don’t do it, they’re going to be disrupted by companies who do. Noah Pusey: 100%. When we started Ripple, our primary goal was to create stronger individuals. Behind every employee is a person, and that has been largely lost on baby boomer and generation Xers. Mark S A Smith: Well, if you were raised in the military environment, soldiers are not people. They’re soldiers. Noah Pusey: That’s exactly right. Mark S A Smith: Everybody has to conform. If we can’t beat it out of you through boot camp, you’re going to get kicked out. Noah Pusey: In the decades that I’ve been working in the workforce, the 80s, 90s, and 2000s, up until a few years ago, maybe 10 years ago, you worked at a law firm, you wore a blue suit, a white shirt, and a red tie or a blue tie. Whoa. Maybe somebody wore a pink tie. Mark S A Smith: Whoa. Noah Pusey: Or a crazy guy didn’t wear a white shirt, he wore a blue shirt. That conformity was the way it was. Mark S A Smith: Yeah. Uniforms. Noah Pusey: Technology doesn’t allow for that. Technology has changed everything. We’re talking on iPhones over Skype. The clarity is unbelievable. Mark S A Smith: The IRS still uses a fax machine, but you know. Noah Pusey: Sure. Yeah. What you have is, technology has replaced so many other things, and there’s no reason other than, “Well, we’ve always done it this way,” to continue with a process that all research indicates no one enjoys, is wholly ineffective, and there’s no productivity value. If those are your three consistent characteristics of the annual review, the fact that I don’t have to convince anyone of the pain point is not surprising to us. When we started, we wanted to build stronger individuals, and then those stronger individuals would create stronger teams, stronger teams create stronger departments, and stronger departments create stronger organizations. Noah Pusey: -and then quit. Mark S A Smith: That’s right, and the reality is, almost everybody is susceptible right after their annual review to being stolen away by somebody who is going to love them better, treat them better, recognize their input better. Noah Pusey: Yeah. 100%. When you look at the cycle, this is rinse, repeat. It’s amazing, and I’m guilty of it. I worked at a law firm for eight years, and our rates of attrition in the months following the annual review, and we did it at the absolute worst time. We did annual reviews in mid-December, among the holiday parties and end of the year budget issues, and vacations, seeing who’s taking off for the holidays, all that kind of stuff. “Oh, yeah, Mark. Come on in for 20 minutes. I’m going to tell you what you did wrong for the last 12 months.” What a perfect exercise, right? Then not shockingly, I wasn’t being a lawyer in January, February, or March. I was looking at resumes, interviewing candidates for the six, seven, eight, nine people that walked out the door after their check cleared for their bonus. Noah Pusey: Yeah. Part of the frustration, I think, for the people giving the annual reviews, turn it on to management’s side. Employees never really like getting it, because all they hear is, “Blah blah blah. Blah blah blah. Oh, and your raise is X.” That’s what they want to get to. You don’t start with, “Your raise is X, and let’s talk about what happened over the last 12 months.” The way we did it, and the way most organizations do it is you talk about what you did or didn’t do over the last 12 months, and, “This is your raise.” The manager doesn’t like doing it, because he or she knows, generally speaking … In 2007, not surprisingly, the bonuses and annual reviews were very negative at the firm I worked at, because it was a bad fiscal year. Mark S A Smith: It was a bad year. Noah Pusey: But in 2003, when things were humming along, everybody was a great employee. That wasn’t necessarily the case, but our fiscal health allowed us to give bonuses and raises that reflected how well we did as a company. Mark S A Smith: Right. You were making enough money to bury your mistakes. Mark S A Smith: But when we don’t make a lot of money, our mistakes are glaring. Noah Pusey: Right, and also even as short a period as 10, 15 years ago, money dominated. 76% of people leave their current jobs for non-financial reasons. It’s not like when I got out of law school, that if you could make another $30,000 working at a different law firm, and you were going to be working 12, 14 hours a day, you took it, because it’s an extra $30,000. Mark S A Smith: That’s right. That’s right. 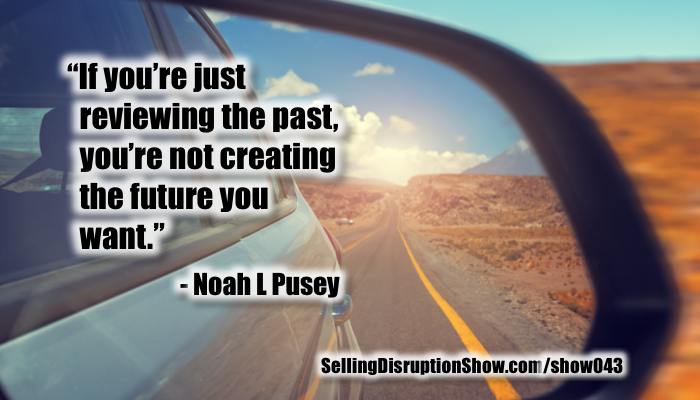 Noah Pusey: “What are we doing? What are the goals of the company? Do I identify with them? And if I do identify with them, and I do support the general objectives of my organization, where’s my platform to give information and feedback on that?” Ripple provides that platform. Ripple says, “I work on a team of six, seven, eight people. Here are my impressions of how those people interact with the other people on our team.” That allows for self-awareness. One of the core principles of the ripple model is building self-awareness, because the research confirms the more self-aware you are in the workplace, the more productive you are. Mark S A Smith: Wow. Most organizations haven’t created an environment to permit self-awareness, and so what you’re bringing to the party is a tool that does so. Tell me a little more about what you’re offering to employers to help them do this. What is the mechanics of this, and the process of this? Noah Pusey: There’s a lot of different functionality, but at the core of the ripple experience are short surveys that are given out monthly to your coworkers, and those surveys track your interaction, and whether it’s positive, negative, or in-between, on five core personality traits. The big five, as they’re known in psychology, have been identified. They’ve always existed, but they’ve been identified since the late 40s, early 50s as the most important personality traits that people exhibit when they’re interacting with each other. That means interacting in a workplace environment. That means interacting with your family during summer barbecues, or when you go away on vacation, when you go to work conferences. All of those interactions are with people. You don’t just interact with employees. You interact with human beings. Noah Pusey: We show managers and individual employees how they impact other people. Most people want to be a positive influence in the workplace. Mark S A Smith: Sure. Noah Pusey: The five personalities that we track data along are openness, conscientiousness, extroversion, agreeableness, and neuroticism. Yeah, so some big ones. We’ve taken a couple of those personality traits and taken the clinical nature out of them, so for neuroticism for example, someone that’s irritable, temperamental, moody, self-centered. We’ve changed that personality trait to consistency, so it’s the opposite of neuroticism, and it also makes it a little easier for everyday employees to know if you’re a consistent personality, if you’re level-headed, it’s easier to understand than asking if you think someone’s neurotic. We give every user a dashboard. They can see how they’re interacting with their coworkers, and then we provide development tools through our content partner, the Center for Creative Leadership. They’re a non-profit individual leadership organization that promotes, just like Ripple, the strength of the individual, because if you have stronger individuals, you’re going to have stronger organizations. We don’t just tell you that you’re a 4.2 out of five. We give you tools to become a 4.4, and if you’re a 2.6 out of five, we give you tools to become a 3.4, 3.5. We give you the ability and the resources to promote yourself. The other key component to what Ripple does, we give as part of the process a self-survey. You answer the same questions your colleagues are answering about you. What that does is it demonstrates to the user how self-aware you are, because if you think your levels of curiosity are off the charts, and the people you work with don’t, then you’re not very self-aware about how curious you are in the workplace. The last core principle of what Ripple does in terms of empowering management is, it promotes ongoing communication, not just this one static, one-off event of the annual review, but you see a dip in scores, you go and you talk to that employee, or if you see sips in scores for a team, an executive might get that team in a room and see what’s going on. It’s much easier to tackle an issue if it’s discovered in a timely way. Mark S A Smith: That’s right. Otherwise it becomes a new habit, and that’s going to be really difficult to dislodge. Mark S A Smith: What you’re offering here is both a diagnostic tool as well as a prescriptive tool, so, “Here’s the problem. Here are some potential solutions.” A trigger tool that allows managers to identify issues that they may not detect, but the peers of the employees are detecting as something that’s causing an issue within the culture, and can help that very quickly, as well as a self-awareness tool that an employee can start to figure out where they fit, and where they need to grow. Wouldn’t it have been cool if I had had access to that when I was 23 years old? Wow. Mark S A Smith: To have a tool like this would have been really powerful. Noah Pusey: When you look at what you’ve done over your professional career, and you look at what you’ve accomplished and some of your failings, at the root of it, you need a certain skillset to accomplish whatever you’re hired to do, right? Mark S A Smith: That’s part of it. Noah Pusey: But more and more, the culture of an organization is being defined as how we do things, not just what we do. Noah Pusey: How we do things is not just opening the door for other people, and, “Hey, I’m going to get a cup of coffee. Do you want a cup of coffee?” It’s more, “Hey, you’ve got an issue with that project. I worked on something similar to this a couple of years ago, and this is how I resolved it.” Versus 20 years ago, “I’m not helping Mark. I’m eating what I’m killing. I’m not going to help Mark advance his professional development. Oh, yeah. I bet he’s going to stumble just like I stumbled two and a half years ago. Let’s see how he deals with it.” Instead of, “I learned. Let me teach you.” That’s important. Mark S A Smith: In the old model of annual reviews, it was a zero-sum game. If somebody was promoted, somebody else was demoted or fired. Mark S A Smith: If I got a raise, somebody else got a demotion. It was just the most insane thing. Noah Pusey: It’s important to identify one of the other core problems with the annual review. What Ripple does and how we do it differentiates from the traditional model as follows. When you have an annual review, and our kids play on the same soccer team, or we root for the same professional teams, or we belong to the same church group, or anything that might create an unintentional … I mean, it doesn’t always have to be intentional bias. A lot of times, the annual review was dominated by unintentional personal bias. Noah Pusey: If we had things in common, then you were probably going to be either … Maybe not promoted, but certainly coming out of that review better off than somebody I had nothing in common with. Mark S A Smith: Absolutely. Noah Pusey: Even though you did the same job. Mark S A Smith: Well, you get confirmation bias. You also get identity bias, which has been an issue, well, forever. Noah Pusey: Yup. Ripple gathers data from your teammates in an anonymous way, so you don’t know that Mark, Judy, Nancy, Jill, Joe, and Harry gave you certain scores, but you know cumulatively that you scored X, and if you want to increase that score, because you obviously have some issues with conscientiousness, if you want to increase how you’re being perceived within the office, then we give you those tools that I said from CCL, that are webinars, podcasts, white papers that allow you to grow as an individual. The flip side is, you have 46, 50, 55-year-olds that, you know what? If they’re not naturally conscientious, maybe there’s not enough webinars and podcasts in the world that are going to make those people more conscientious. What Ripple allows is to identify the strengths of employees and put them in a position to succeed, so if you have a role that you’re trying to fill, and that role depends on the person being super conscientious, very detail-oriented, very time-consuming, you have to be organized, and you see my scores in conscientiousness is 2.6, and Mark’s score is 4.1, you’re a better candidate for that job. That company is going to put you in a position to succeed, or they put me in that position, a position to fail, based on the very real, objective data that Ripple collects, and that’s a huge benefit, because you can build more dynamic teams over time. Mark S A Smith: This is really interesting, because one of the prior shows that I recorded with Chris Stark talked about using tools, analytical tools, to help select the right person for the position. What Ripple is bringing into play is the tools to keep them in the right position or to help move them dynamically to the next place. I see these as being absolutely complimentary strategies to have the highest performance team possible, so that you can continue to disrupt your market and avoid being disrupted by others who are using this more conscious and intentional way of helping people be their best. This could also be really useful for any group that has to work together, whether it’s a company or a non-profit organization, or heck, even a family. Mark S A Smith: Absolutely. We consider emotional intelligence to be 35% of your success strategy. 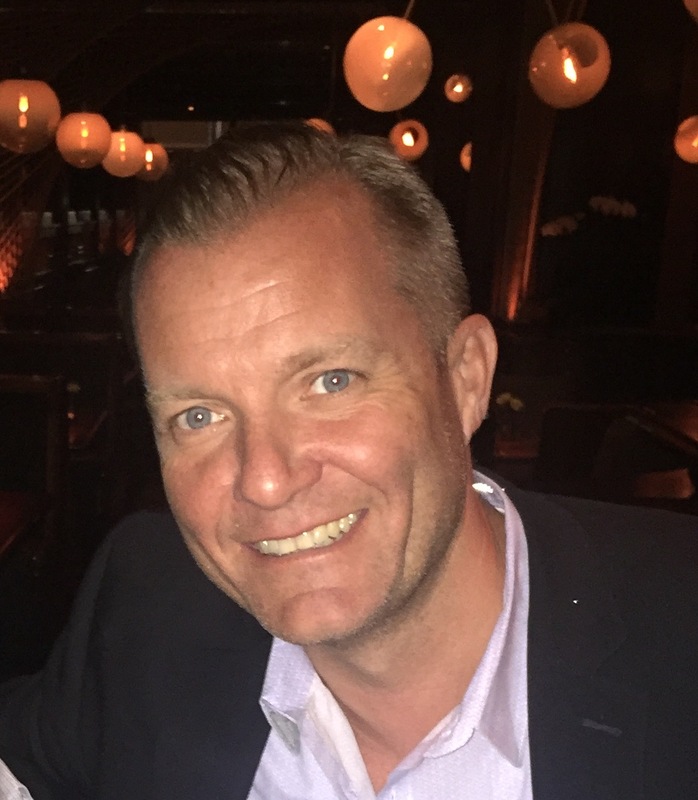 Noah Pusey: Emotional intelligence is huge, and it’s really coming to the surface now because you have so many candidates for so many jobs, and so many technology-driven outlets for the job search process. Noah Pusey: When you can show a candidate that your process for assessing and developing throughout your career at company X is going to include this feedback-gathering tool, Ripple, that allows you to identify where you can become a better employee, but just as importantly, if not more importantly, help you celebrate your strengths. Mark S A Smith: Yeah. Noah Pusey: You lead off our discussion talking about generally the negative connotations surrounding annual reviews. Noah Pusey: Well, that’s because throughout the year, there’s far too little appreciation and acknowledgement of success. If you miss it during the course of the year, and you’re at the end of the year, and you’ve got to justify maybe a bonus you wanted to be bigger, or a raise that wasn’t as big as you wanted, then you’re going to have to ding down the person you’re reviewing. You’re going to have to make them aware that the reason is based on them, and that’s not fair a lot of the time. Sometimes it is. All of your employees aren’t going to be rock stars, but certainly throughout the year, to have something, when you see someone having a positive effect on their coworkers, to acknowledge that and to celebrate that strength is just as important as addressing failings. Mark S A Smith: Remembering back to the seven or eight years that I was employed and had annual reviews, that was about the time the boss says, “You know, Mark, we’re going to send you off to this class to improve your communication skills.” The reality is, the way that we grow is through continuous improvement, not just application of medicine once in a while to take care of the issue. This is such a powerful way of positioning the company that uses Ripple to employees, saying, “Look, we care about your growth. We care about your performance, and we care about making you the best that you can possibly be, and if that’s what you want, then you need to consider us.” Versus other companies that don’t offer that same kind of personal development strategy. We see that as important to our being competitive in the marketplace, so I think that what you’re talking about here brings a very competitive and attractive approach to differentiating to prospective employees. Well done. Noah Pusey: You have to differentiate your offering as an employer from the offerings of other employers. By being able to show that you got rid of the annual review because it was this dinosaur of a process that no one really likes, they identify it more with anxiety than productivity with respect to the review. Mark S A Smith: My wife has had to do annual reviews in her positions through past years, and she hated them. It was a massive drain, and now we get rid of that as well, so everybody wins in this particular strategy change. Noah Pusey: You save a ton of time and effort that’s put into this process that doesn’t work. Deloitte came out in 2015, in the Harvard Business Review, wrote an article about … Deloitte calculated the number of man hours that Deloitte spent on their annual review, and it was two million man hours. Upwards towards 30 to 35 hours per employee. Mark S A Smith: That’s a lot, and probably a waste of time. Mark S A Smith: It’s an HR compliance exercise, not anything else. Noah Pusey: That’s exactly right. If you do anything for the sake of doing it, and not for a reason, then that is not something you should be doing. Mark S A Smith: That’s a problem that’s going to create disruption. Noah Pusey: Yup. I’m talking with a prospective client, they have 1,000 employees. The head of HR, nice enough to admit it, they used the same process that they implemented in 1955 when they founded the company. The guy was nice enough to send me over some of the forms. Some of the questions are arguably illegal. You can’t ask them. They’re all gender-specific, and it looked like it was sent to me off a mimeograph machine. Mark S A Smith: Well, my bet is that everything else in the company has changed except for that sheet of paper. Noah Pusey: Absolutely. I told him, I said … He goes, “Yeah. I just can’t …” I was like, “Well, when did you go to company email?” He goes, “Well, what do you mean?” I was like, “Well, you have company-issued email addresses, right?” “Yeah.” “When did you do that?” “Oh, about 20 years ago.” I was like, “Well, did anyone say that they didn’t want that?” “Well, if you ask some of the older owners, executives …” I go, “Okay, and what happened?” “Well, we had to do it.” “Well, why is that?” “Because everyone was doing it.” “Right.” If I’ve got to log into Yahoo to get my business emails back in 1995, you adopted new technology because you had to. Noah Pusey: It’s really to that point when it comes to assessing your talent. If you’re not using Ripple or a similar approach, you’re basically mailing out notices to your employees, to their home addresses, about any new policy changes. You’re not using email. You’re not using technology that exists that can make your workplace experience more effective. I have this argument with companies all the time. Like, “Why don’t you at least automate?” A lot of these companies are doing handwritten annual reviews. Noah Pusey: Then you have the added error of, “I can’t understand what word Mark used there. I can’t understand his handwriting, so I’ll just assume it means X, when actually he meant a different word.” The ability to come in with data that is tarnished when you use your typical process is huge, and that again calls into question the entire process that you’re utilizing. Ripple is the solution to a lot of these pain points, and it really focuses on creating a more positive workplace experience, which obviously drives culture, makes people want to work, makes people want to work with their coworkers, and breeds the loyalty that is largely not around anymore when it comes to your workforce. Mark S A Smith: Unless you make those changes, you won’t have a workforce. Mark S A Smith: Noah, this has been a fantastic conversation. Thanks so much for sharing your insights and experience. Lots of great ideas here for anybody who has to work with employees, hire employees, and look for ways to create that competitive edge. How can people get ahold of you? What would you like our listeners to do next? Noah Pusey: Yeah. Go to our website, Ripple, R-I-P-P-L-E, Crew, C-R-E-W, dot com. Mark S A Smith: Great. Noah Pusey: You can click on the button at the bottom. You scroll down. You can read a little bit about our story, about what we’re doing, and then you can try Ripple. You sign up for it. We get a notification that you’re interested. I reach out to you, and I talk to you about what you’re doing currently and how Ripple can help either supplement or completely replace your annual review process. Through your program, we’re offering three months of Ripple, and the deal is that it’s not free, but you don’t pay for it. How does that work? You don’t pay for it until the third month. At the end of the third month, I have a call with you, and I say, “Well, what do you think? Do you like it? Does it work?” If you say yes, then you pay for the three months. If you say no, “It’s not really what we want.” Then we stop the process, and that’s that. The reason we charge for it is simple. Through beta, when you give something away, the participation levels are super low. Mark S A Smith: They sure are. Noah Pusey: When you add skin in the game, when an organization can say, “We’re using Ripple. We’re investing in our people, and we’re paying for it.” When you do that, the participation levels are much greater. Mark S A Smith: The deal is, it’s not free, but you don’t take a risk. Mark S A Smith: That is a powerful sales tool, because my friends, that’s how you sell disruptive technology. Take away the risk, but don’t take away the value. Noah Pusey: For all of the listeners to your podcast, if you have any questions, if you have any issues, if you want me to help you diagnose your current process, and most likely it will be probably a diagnosis that you’re aware of, give me a call. I’m always available, 24/7, literally. 646-643-7786. Calculated disruption is needed a lot more in the workplace. Mark S A Smith: Indeed. Technology is driving everything else. Now it’s time for us to get the human technology in line. Thanks again, Noah. Mark S A Smith: Great conversation. 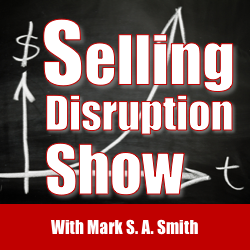 Thanks for being on the Selling Disruption Show. Noah Pusey: Thanks for having me, Mark. Anytime.